​​​​Supporters Club Members can opt in to the DASC Travel Club before 30th September for just £20. Juniors just £10. 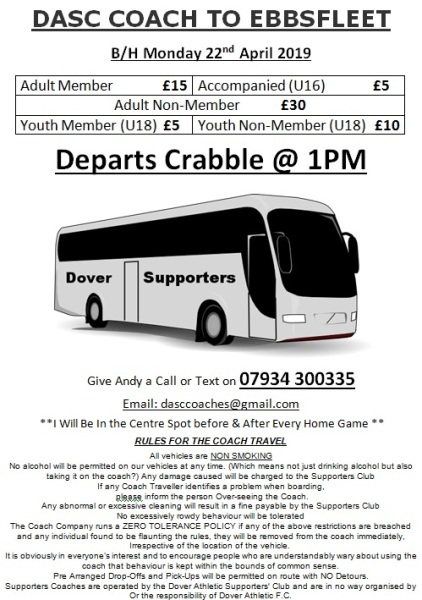 In the event of a game being called off after the coach has left Crabble, DASC Travel Club members onboard will receive a full refund of the cost of that coach. If there are no cancellations over the course of the season, members will receive a full refund.